Liquid Robotics, an ocean data services provider and developer of the first wave-powered Wave Glider marine robot, is proud to announce the PacX Challenge Wave Gliders have broken the Guinness Book World record for distance by an unmanned wave powered vehicle. Arriving in Hawaii on the first leg of their 9000 nautical mile journey across the Pacific, they have traveled over 3200 nautical miles breaking the previous world distance record of 2500 nautical miles. 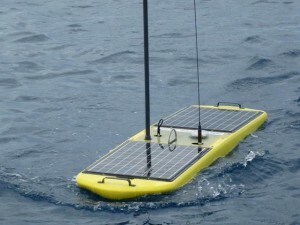 Launched on November 17, 2011 from San Francisco Bay, the Wave Gliders have survived 8-meter (26 foot) waves in a gale force storm, defied turbulent mid-ocean currents, all while transmitting real time ocean data and staying on course to their first destination: the Big Island of Hawaii. After a short check-up, the PacX Wave Gliders will embark on their final journeys to Australia and Japan. During this portion of the record breaking, scientific expedition, the first team of Wave Gliders will cross the Mariana Trench and battle the Kuroshio Current on their way to Japan. The second team will cross the equator on their way to Australia. It is anticipated the arrivals will occur in late 2012 or early 2013. The PacX Challenge Wave Gliders were named to honor famous oceanographers and discoverers. One of the four, Papa Mau or “the Way Finder”, was named after the Micronesian navigator, Pius “Mau” Piailug, famous as the teacher of traditional, noninstrument way finding methods for deep-sea voyaging. True to his spirit, his namesake Wave Glider is navigating to port without instruments, due to a satellite communication disruption. Programmed to go straight to Kawaihae Harbor on the Big Island, he is battling severe currents, yet staying on path using only his original coordinates and the stars. To learn more about the PacX Challenge, the Wave Gliders and the PacX Challenge grand prize, please go to www.liquidr.com/pacx/. The Wave Glider is the first marine robot to use only the oceanʼs endless supply of wave energy for propulsion (no manpower, no emissions, no refueling). 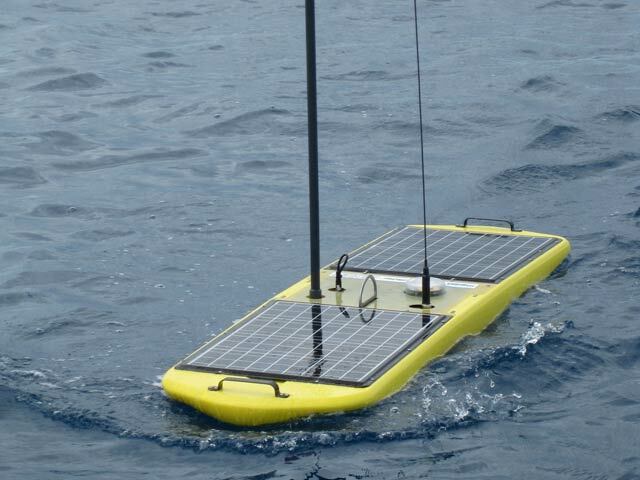 The Wave Glider employs a multi-patented design that allows it to cost-effectively collect and transmit data gathered during yearlong missions, over distances of thousands of miles, or while holding station. Data gathered by Wave Gliders will help us address the biggest challenges our marine environments face – including ocean acidification, fisheries management, and natural disaster mitigation. Liquid Robotics, Inc. is an ocean data services provider and developer of the Wave Glider marine robot that functions as a persistent and versatile platform for scientific and industrial payloads. Based in Silicon Valley, Houston and Hawaiʼi, the companyʼs Wave Glider is enabling dozens of applications and missions never before attainable. Liquid Robotics is backed by VantagePoint Capital Partners. For more information, visit www.liquidr.com.